Devices like smartphones ought to help people feel safer, but if you’re in real danger the last thing you want to do is pull out your phone, go to your recent contacts and type out a message asking a friend for help. The Women’s Safety XPRIZE just awarded its $1 million prize to one of dozens of companies attempting to make a safety wearable that’s simple and affordable. Anu and Naveen Jain, the entrepreneurs who funded the competition, emphasized the international and very present danger of sexual assault in particular. “Safety is a fundamental human right and shouldn’t be considered a luxury for women. It is the foundation in achieving gender equality,” added Anu Jain. Out of dozens of teams that entered, five finalists were chosen in April: Artemis, Leaf Wearables, Nimb & SafeTrek, Saffron and Soterra. All had some variation on a device that either detected or was manually activated during an attack or stressful situation, alerting friends to one’s location. The winner was Leaf, which had the advantage of having already shipped a product along these lines, the Safer pendant. Like any other Bluetooth accessory, it keeps in touch with your smartphone wirelessly and when you press the button twice your emergency contacts are alerted to your location and need for help. It also records audio, possibly providing evidence later or a deterrent to harassers who might fear being identified. It’s not that it’s an original idea — we’ve had various versions of this for some time, and even covered one of the other finalists last year. But they haven’t been quantitatively evaluated or given a platform like this. 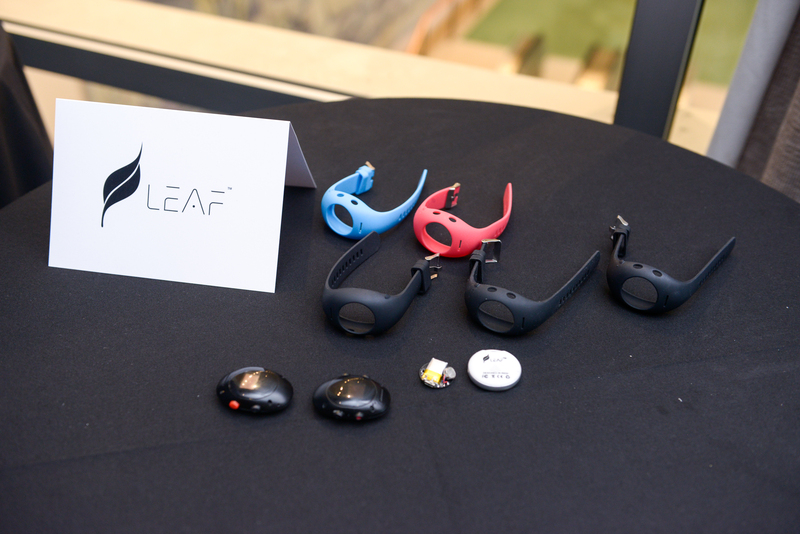 Hopefully the million dollars and the visibility from winning the prize will help Leaf get its product out to people who need it. The runners-up don’t seem likely to give up on the problem, either. And it seems like the devices will only get better and cheaper — not that this will change the world on its own.